Hi friends! Have you all seen the pins going around on Pinterest of the wall art made out of toilet paper tubes? 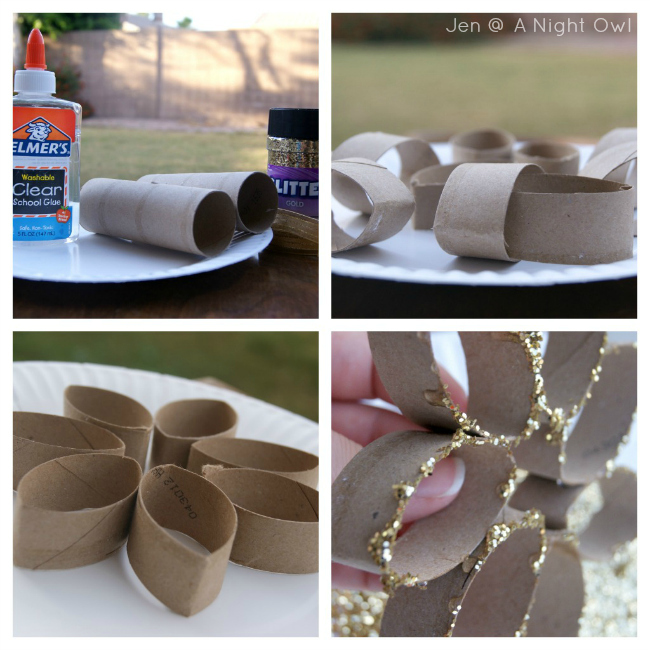 I thought is was a pretty nifty idea… so when Kimberly asked me if I wanted to share a DIY ornament, the idea the idea popped into my head to make it using toilet paper tubes! 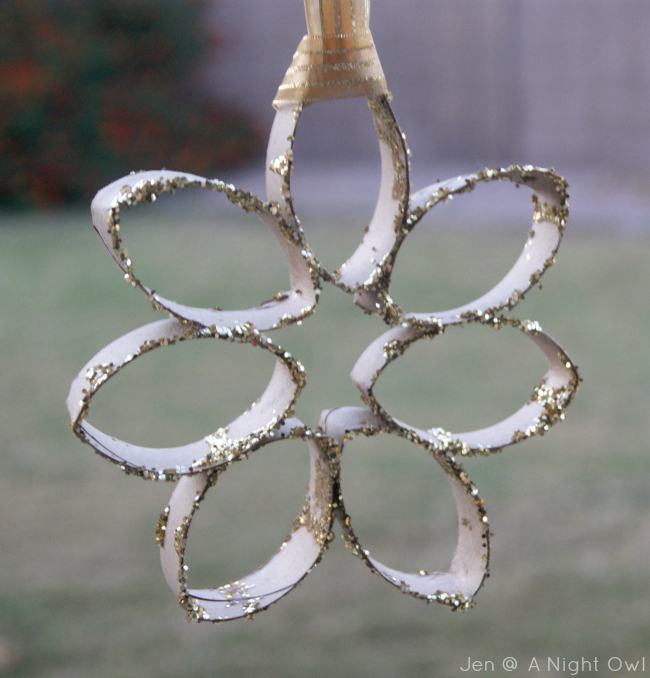 Being that practically everyone uses toilet paper this craft is super inexpensive. 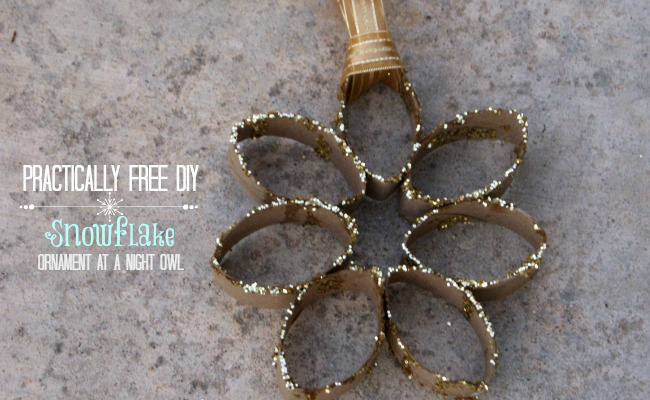 If you have a glitter and ribbon stash like I do, this craft is free! Also, if you have little ones that like to craft this is a fun and inexpensive one for them to make for teachers, grandparents, and friends. I could also see adding these to wrapped presents instead of a bow. 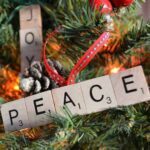 I liked the natural cardboard and gold look for my holiday theme this year but by painting the cardboard you really could do any color combination for a fun and festive look for your tree or a holiday package. What do you think? 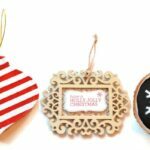 Stay tuned this week as we share a few more fun DIY Ornament ideas! Jen of Life According to the Streets is a contributor for A Night Owl. You are welcome 🙂 Thanks for the kind words. Aww, this looks so cute. 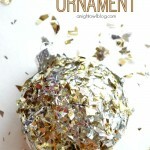 My boyfriend and I decorated our tree last night and I have been thinking about making some extra glittery ornaments, and this would be a cheap and easy one to do and it’s so cute! Thanks I thought it was fun! 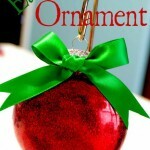 It would definetly add some sparkle to your tree at a low cost! This is a great idea to do with kids! What a cute ornament! Thanks for sharing! Thanks Shari and good luck with that baby!! Congrats! Way Cute Kimberly! Love it and it’s re-purpose! Pinning! what a cute and simple idea. I love it! !